The mainstream media has long viewed the Tea Party movement as an “opposition” movement; it was organized in response to President Obama’s trillion-dollar “Stimulus” plan and went on to oppose bailouts, the swelling national debt, the Affordable Care Act, executive amnesty and a host of other issues. During the course of the Obama Administration, we played defense, but with President Trump in office and Republicans controlling both the House and the Senate, we can go on offense. After all, we all stand for a positive attitude and a bold agenda for the future that seeks to enhance personal and economic freedom, and make a debt-free future a reality. With the Yellow Card Project, we will drive the attention of our nation and our lawmakers toward the subjects that truly matter to us all. 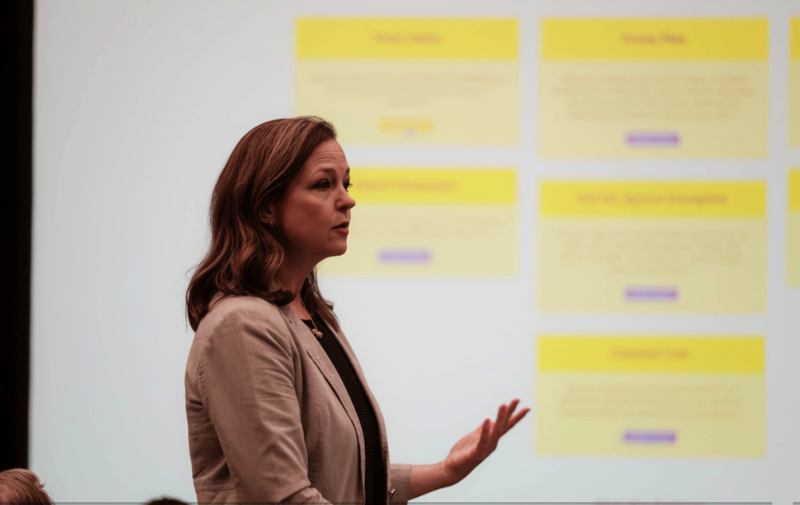 In the 2016 election cycle, we used the Yellow Card Project to force all candidates for federal office to confront issues that many of them would have preferred not to address. The Yellow Cards are a set of core subjects, issues which the candidates need to discuss, and which the American public needs to think about. We didn’t just pick these issues ourselves; we talked to our allies, both in the Tea Party movement and outside; we reached out to Tea Party Patriots all over the country, from grassroots group leaders and allies on Capitol Hill to our day-to-day volunteers and small-dollar donors. We did this because the Yellow Card Project is about you; helping you to voice your concerns and providing you with the tools and the information you need to confront Washington. Yellow Card issues address the core questions our lawmakers need to answer. We have provided educational materials so that you and your fellow Americans can meet them in a strong, informed dialog. When politicians see regular citizens standing up, again and again, asking questions about Yellow Card issues, they’ll understand that America is watching and wants to know where they stand. We’ve created the Yellow Cards which lay out the core questions our lawmakers need to answer, and provide educational materials so that you and your fellow Americans can meet them in a strong, informed dialog. When politicians see regular citizens standing up, again and again, with a Yellow Card in hand, they’ll understand that America is watching and wants to know where they stand. Read on to learn about the issues this project focuses on, the materials that the Tea Party Patriots will supply to our supporters, and sign the petition to show your support! 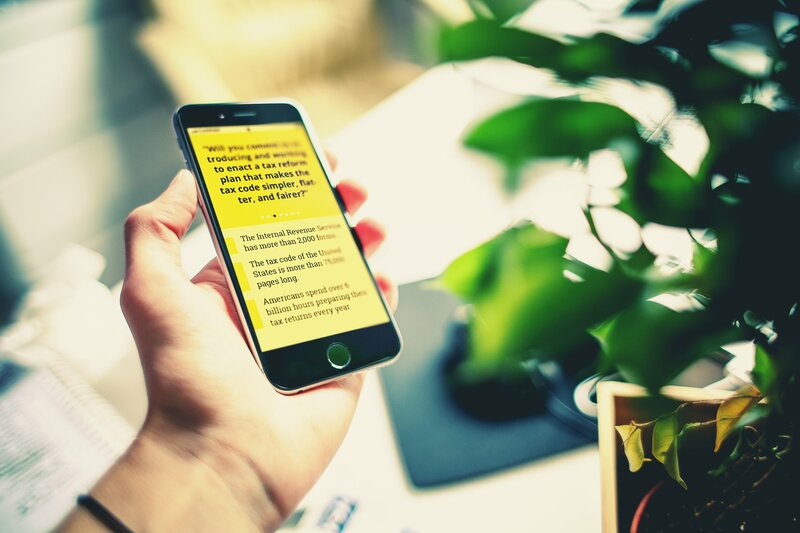 The first tool in our Yellow Card arsenal is a specially developed smartphone and tablet app, free for Anrdoid and iPhone. Browse the questions that your politicians need to answer and learn the facts behind them to help you confront your lawmakers and engage in informed discussions with other members of your community. In addition, the app will keep you updated about the progress of the Yellow Card project, the impact it’s making in Washington and the United States at large, and new ways the Tea Party Patriots and their supporters are helping to shape the future of our nation. The app will see continuing updates to make it the most powerful and useful tool in this crucial project. These are the questions for the 2016 Presidential candidates – and our current leaders, too – that they’ll need to answer to show they understand the concerns and realities Americans face today, and what matters most to our fellow Patriots. With the help of our supporters, we’ll ask them these questions every chance we can: rallies, town halls, online and in person. Your voice matters. You can show your support by signing this online petition to stand with your fellow Tea Party Patriots. With every new signature Washington will have a harder time dodging the questions that the Yellow Card Project will force them to answer. I agree with these seven proposed solutions and pledge to vote in the November 2018 elections for candidates who share this vision, and who will commit to vote for, and enact, proposals along these lines; in the meantime, I pledge to show my Representative and Senators my support for action on these issues.